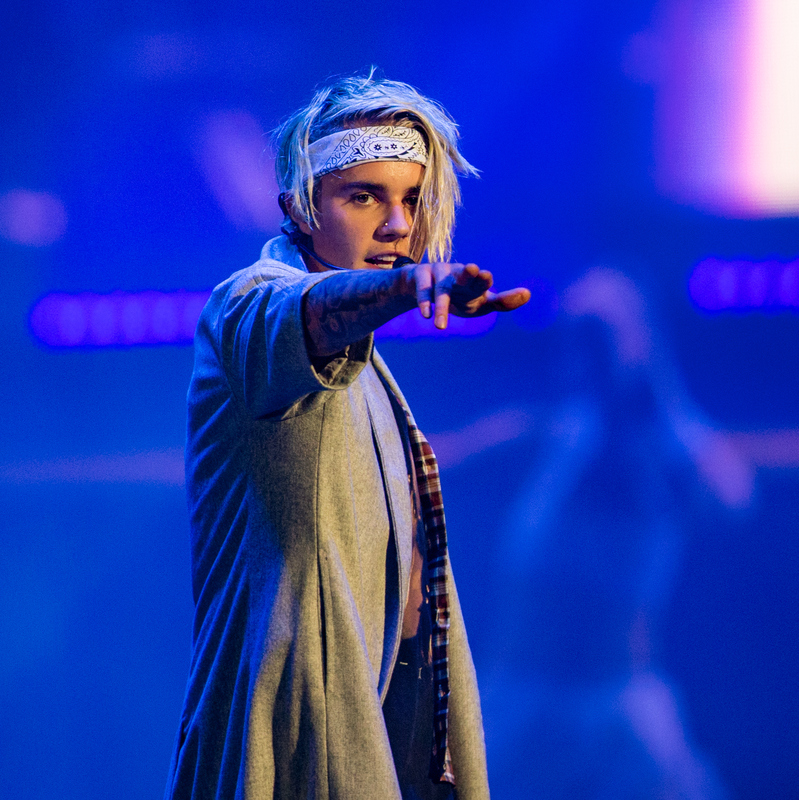 Justin Bieber just embarked on the North American tour for his latest album, Purpose, and, like basically everything Bieber does, it's already fraught with controversy. On Tuesday, Bieber announced that he's canceling all meet-and-greets with fans for the duration of his tour — meetings which fans reportedly paid up to $2000 for. While Purpose has received generally positive reviews (and made it cool to become a Belieber again), the tour has brought a smattering of controversy, from the T-shirts with a typo being sold at merch stands, to accusations that the singer lip synced for much of the show, it seems like the Biebs can't win. And now, the meet-and-greet cancelations are another distraction from the tour and the music itself. Bieber's reason for canceling, though, is totally valid, and it reminds us that there's a very scary side to fame. Bieber took to Instagram and shared a sweet photo with a fan to explain why he's canceling future meet-and-greets, explaining that there's an emotional reason behind the cancellation. In his caption, he explained, "I enjoy meeting such incredible people but I end up feeling so drained and filled with so much of other people's spiritual energy that I end up so drained and unhappy." Want to make people smile and happy but not at my expense and I always leave feeling mentally and emotionally exhausted to the point of depression .. The pressure of meeting people's expectations of what I'm supposed to be is so much for me to handle and a lot on my shoulders. ... Can't tell you how sorry I am, and wish it wasn't so hard on me.. And I want to stay in the healthy mindset I'm in to give you the best show you have ever seen. While it's totally understandable to feel angry, especially if you've dropped a ton of money to share a moment and a photo with your favorite star, there seems to be even more to the story than Bieber's Instagram post reveals. A report by TMZ says that Bieber "had a scary moment at his concert Monday night, when an obsessed and potentially dangerous fan got within 10 feet of him during a meet-and-greet, and it's triggered a big change in his interaction with concertgoers." The report adds, "He's had his hair pulled, clothes ripped and one fan even gave him the flu. We're told Justin never complained, but Monday night's scare was a wake up call for security." Of course, the prospect of seeing a celebrity in the flesh in the age of Snapchat and Instagram is enough to make anyone whip out their phone for a photo, but it's important to remember that celebrities are human, too, and they deserve the same respect that any of us do. Just because a fan has paid big money to meet a star doesn't give them the right to rip that person's clothes or pull their hair. Similarly, just because you see a star on the street, doesn't mean you should yell rude things at them. If a normal person had any of these things happen to them, they'd have grounds for a legal case. Celebrities are not immune to attacks just because they're in the public eye, and these instances reveal the frightening reality of life as a celebrity. Of course, most public figures are very grateful to have the support of their biggest fans, but that doesn't mean they should have to give up the right to personal safety and security because of it.